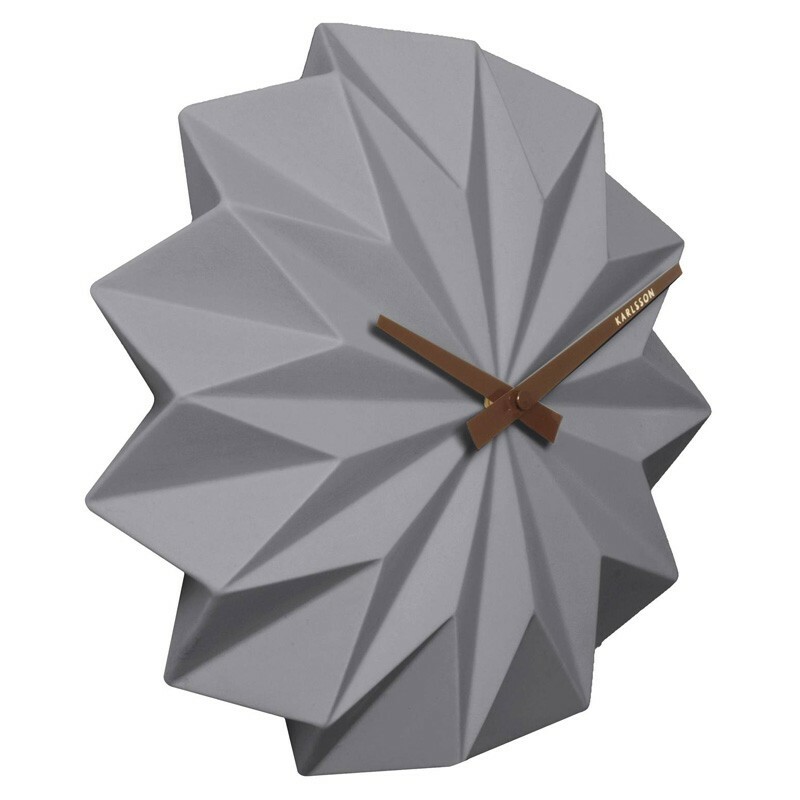 Make a statement with the Karlsson Origami Wall Clock - Grey! This decorative folded wall clock could be a piece of wall art in its own right. With twelve main folds busting out from the hands in the centre, this faceted design draws attention to the time, meaning you’ll never be running late again. Bursting with intricate designer pizazz, the understated grey colour of this ceramic ticker makes it a good match for most existing colour schemes. 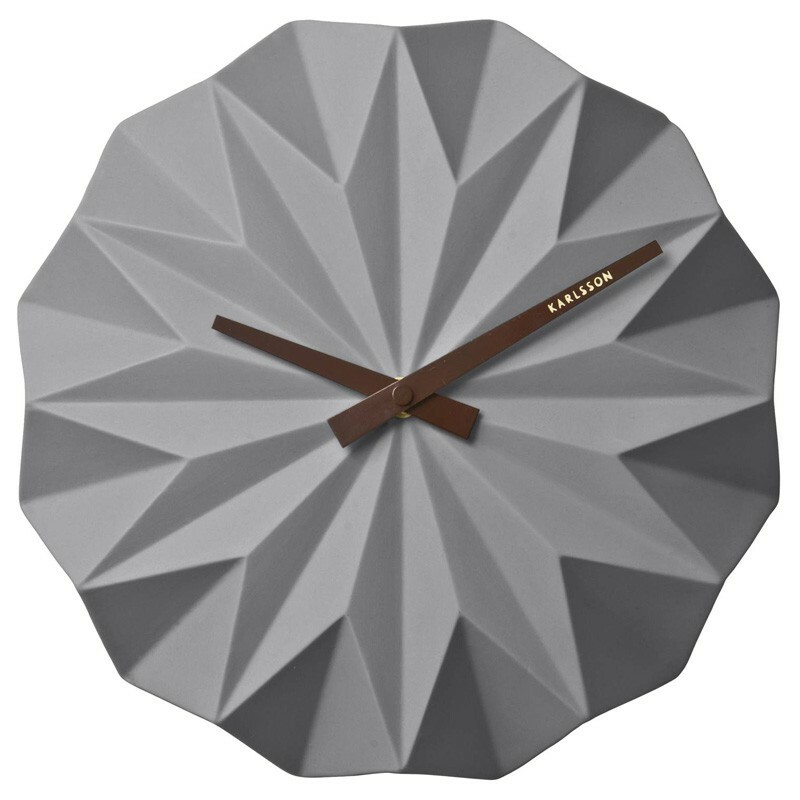 This geometric style clock will have your guests crowding round for a closer look. With its ornate appearance and the designer branding on the brown hands, this origami delight would also make a perfect housewarming gift for fans of contemporary interior style and also those craft lovers out there! An excellent and hassle free purchase ! Looks good, but could be a bit bigger. Item just as described. Looks great!